The US-ASEAN Business Council, through its ASEAN Committee led by Procter & Gamble, UPS, HP, GE, and Microsoft, launched an innovative public-private partnership with USAID to expand support to SMEs in ASEAN. This partnership will build on the Council's widely praised SME training program. The U.S. Agency for International Development (USAID) and the US-ASEAN Business Council signed a Memorandum of Understanding (MOU) to create the US-ASEAN Business Alliance for Competitive Small and Medium Sized Enterprises (SMEs). The Business Alliance will combine the efforts of USAID and major U.S. corporations to boost competitiveness and develop the capacity of SMEs in the ASEAN region. The Business Alliance will use training programs, mentorship opportunities, and cloud technology to support SMEs in five key areas: access to finance, access to regional and international markets, human resource development, access to information and advisory services, and access to technology and innovation. SMEs are the backbone of the ASEAN economy accounting for more than 96 percent of all enterprises, while employment is somewhere between 50 to 95 percent in many ASEAN member states. Strengthening the capacities and capabilities of SMEs in the ASEAN region are among the highest impact interventions that can be made to accelerate growth and advance the interests of the ASEAN Economic Community (AEC). The ASEAN Connectivity through Trade and Investment (ACTI) project is a public-private partnership designed in collaboration with Nathan Associates, USAID, and the US-ASEAN Business Council. 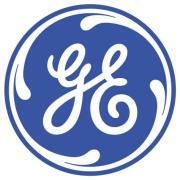 GE is a diversified infrastructure, finance and media company taking on the world's toughest challenges. From aircraft engines and power generation to financial services, medical imaging, and television programming, GE operates in more than 100 countries and employs about 300,000 people worldwide. GE has a strong set of global businesses in infrastructure, finance and media aligned to meet today's needs, including the demand for global infrastructure; growing and changing demographics that need access to healthcare, finance, and information and entertainment; and environmental technologies. GE’s approach to corporate citizenship and to business are driven by a common understanding of the role we can play in helping to solve the world’s toughest problems. Our goals are to make money (strong, sustained economic performance), make it ethically (rigorous compliance with financial and legal rules), and make a difference (ethical actions, beyond formal requirements, to advance GE’s reputation and long-term health). GE’s citizenship performance is categorized into a range of priorities. Talent is the lifeblood of any organization, and GE views employees as its highest priority resource. From internships to comprehensive benefits and compensation, GE takes a thorough approach to providing skills and value to employees. Innovative programs are in place to perpetuate a culture of health for GE’s people, while labor relations policies and employment practices ensure an environment grounded in fairness. The ability of employees to deliver candid feedback is an important component, as is a rigorous initiative to foster diversity. GE infuses compliance and governance into every aspect of its business. On a company-wide level, the Regulatory Excellence initiative has mandated a full re-examination of GE’s compliance systems and processes to assure that risks are anticipated and managed effectively. Processes are in place for executive accountability and compliance training, and an open reporting environment and acquisition framework set the tone for a culture of integrity. The advancement of global policy initiatives is an important activity for organizations large and small. In GE’s case, the motivation of such an endeavor goes beyond the commercial. By furthering discussion in such areas as trade, energy, healthcare, education and human rights, GE is able to share best practices while gaining new knowledge around solving the world’s biggest problems. In the context of citizenship, the term “environment” has two important connotations. It refers to both a company’s impact on our communities and the organization’s workplace, within which the health and safety of employees must be ensured. At GE, a dedicated team is responsible for both, applying world-class expectations, operational tools and training that ranges from greenhouse gas emissions and water use to workplace illness and injury. GE sets expectations for its suppliers regarding environment, health, safety and employment practices and conducts on-site inspections of many suppliers, mostly in emerging markets. In addition to requiring suppliers to address deficiencies identified in on-site assessments, we are working to provide training to suppliers and identify capacity-building projects in places where GE has a significant supplier base. We also did a thorough program review and are currently piloting program refinements designed to encourage GE’s suppliers to adopt their own management approach to ethical business issues. GE views respect for human rights as a fundamental part of responsible corporate citizenship. Human rights concerns touch GE’s sphere of influence in many ways, whether they involve issues with suppliers or the intersection of our water business with the human right to that resource. Often GE helps to effect change through partnerships, such as collaborations with the Business Leaders Initiative on Human Rights (BLIHR) and the UN Global Compact. Additionally, some issues like privacy affect the entirety of our enterprise. Across businesses, GE follows a longstanding and robust process for new product introductions (NPI). While commercial considerations are a critical part of our NPI process, additional factors like environmental and health impact also play an important role. In addition, our ecomagination and healthymagination commitments guide product development to help us meet customer needs regarding climate change and sustainable healthcare. As GE has become a more market-facing organization in recent years, the company has viewed customers as increasingly important collaborators — particularly in the product development cycle. A deep understanding of customer needs is critical to the most effective partnerships, particularly since the success of our customers complements our own. To this end, GE has developed a number of tools, processes and programs to engage our customers in the process of developing products. While GE is dedicated to solving some of the world’s biggest challenges, the company recognizes that such work cannot be accomplished through large-scale commercial means alone. From education and community development to health and the environment, the GE family also invests time and energy in addressing these issues on a community level. Philanthropic efforts and volunteerism are both important ways to support a range of such activities. Procter & Gamble Co., also known as P&G, is an American multinational consumer goods company headquartered in downtown Cincinnati, Ohio, United States. P&G is the world’s largest consumer packaged goods company, with nearly $84 billion in sales and more than $10 billion in net earnings. They have built a portfolio of 25 billion-dollar brands — each of which generates from $1 billion to more than $10 billion of sales per year. They span a broad range of product categories — including household care, beauty, grooming, and personal health care — and are household names around the world. 50 Leadership Brands, which are among the world's best known household names and which account for more than 90% of sales and profits. Leadership Brands include 25 Billion-Dollar Brands (each generating more than $1 billion in annual sales). P&G serves approximately 4.8 billion people around the world with its brands. The Company has one of the strongest portfolios of trusted, quality, leadership brands, including Ace®, Always®, Ambi Pur®, Ariel®, Bounty®, Charmin®, Crest®, Dawn®, Downy®, Duracell®, Fairy®, Febreze®, Fusion®, Gain®, Gillette®, Head & Shoulders®, Iams®, Lenor®, Mach3®, Olay®, Oral-B®, Pampers®, Pantene®, Prestobarba®, SK-II®, Tide®, Vicks®, Wella®, and Whisper®. P&G recently grouped its Global Business Units into four industry-based sectors as part of the Company’s ongoing plan to improve business performance. The businesses in each sector are focused on common consumer benefits, share common technologies, and face common competitors. 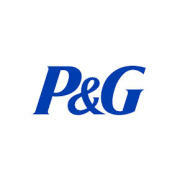 P&G endeavors to provide everyday essentials that create the experience of home for families around the world who lack safe, affordable housing; for children who are orphaned; and for those displaced by natural disaster. We leverage the strength of partner organizations to deliver programs which help address both short-term and long-term housing-related issues including those associated with sanitation and water. Our employees team up as volunteers to build, clean and repair homes in virtually every geographical region where P&G conducts business. They also come together to assemble kits of personal hygiene and/or home care products which are readied for delivery in immediate response to disaster impacted areas. The following programs represent some of these efforts. P&G’s commitment to support victims after widespread disasters is a natural expression of our Purpose to improve lives. When a disaster strikes, their response is anchored in product donations. Their products meet many of the most basic needs people have when they’ve been displaced and have lost access to everyday essentials. P&G has partnered with Habitat for Humanity in their efforts to provide decent, safe and affordable places to live for families in need by sponsoring home builds around the world. Thousands of their employees come together to help build and clean homes for first-time owners committed to provide a home for their families. Downy has partnered with Quilts for Kids to help create and deliver homemade quilts to comfort hospitalized children who may be spending their first night away from home in a hospital where they are typically restricted from bringing their favorite stuffed animal or other non-machine washable items from home. P&G is delivering programs that promote healthy behaviors that can prevent illness and improve confidence for people in need. With hand washing, tooth brushing and personal hygiene instruction combined with improved access to sanitation facilities, children and teens learn the value of healthy hygiene habits and the positive results in adopting healthy behaviors. The CSDW Program uses powdered water purifying technology to turn dirty, potentially deadly water into clean, drinkable water. To date, CSDW has reached more than 70 countries and saved tens of thousands of lives. Pampers and UNICEF are working to vaccinate women and children around the world from maternal and neonatal tetanus (MNT). The program has engaged consumers all over Europe, resulting in the elimination of MNT from 10 countries and has vaccinated over 100,000 women. P&G has partnered with Save the Children since 1995 by providing financial donations, health and hygiene capability, and products from brands like Safeguard, Always, and P&G Water Purification Packets for emergency and development programs around the world. Recently, P&G and Save the Children have also collaborated to deliver programs with brands such as Crest, Oral-B and Vicks. Beautiful Lengths, a partnership between Pantene and The American Cancer Society, allows Pantene to help women grow and donate long, strong, beautiful hair and provide the funds to turn this hair into free, real-hair wigs for women with cancer. Since 2006, the campaign has received more than 480,000 hair donations from generous men, women and children. More than 28,000 real-hair wigs have been provided to female cancer patients for free in the U.S and Canada, giving them confidence to face everyday challenges during the fight of their lives. UPS is the world's largest package delivery company, in terms of revenue and volume, and a global leader in supply chain solutions. We deliver packages each business day for 1.8 million shipping customers to 6.1 million consignees in over 200 countries and territories. In 2011, we delivered an average of 15.8 million pieces per day worldwide - or 4 billion for the year. In addition, our supply chain solutions capabilities are available to clients in 175 countries and territories. Although our primary business is the time-definite delivery of packages and documents, we have extended our capabilities in recent years to encompass the broader spectrum of services known as supply chain solutions, such as freight forwarding, customs brokerage, fulfillment, returns, financial transaction and even repairs. We are also a leading provider of less-than-truckload transportation services. As of 2013, UPS has an overall revenue of $55.4 billion. As of 2013, UPS has 395,000 employees around the world with 318,000 in the U.S and 77,000 internationally. The organization services more than 220 countries and territories; every address in North America and Europe. With 1,990 operating facilities, UPS serves an estimated 9.4 million customers daily and has average of 47.5 million daily tracking requests. Logistics and distribution; transportation and freight (air, sea, ground, rail); freight forwarding to 195 countries; international trade management and customs brokerage. Service parts logistics; technical repair and configuration; supply chain design and planning; returns management. Founded in 1951, The UPS Foundation is responsible for leading the organization's philanthropy and corporate citizenship efforts. In 2011, UPS and its employees, active and retired, invested more than $93 million in charitable giving around the world. Additionally, The UPS Foundation creates innovative community safety partnerships with non-profits to champion road safety. UPS is currently expanding it's safe driving program, UPS Road CodeTM, which leverages UPS volunteers around the world to instruct teens and novice drivers on safe driving techniques. Nathan delivers creative, viable, and defensible analytic and economic solutions to improve people’s lives in the developing world. Nathan has been working in the international development arena for over 70 years and our clients include overseas governments, donors, NGOs as well as USAID, DFID and the World Bank. Their experts provide technical assistance that facilitates and improves capacity for trade, develop and implement strategies to overcome causes of poverty, address the needs of underbanked households and businesses through policy contexts, legislative and regulatory frameworks, market infrastructures, and product innovation as well as improving the ability for developing countries to formulate and reform economic policies. Nathan economists and financial analysts provide services through five main business areas including: Economic Policy & Governance, Financial Sector Development, Private Sector Development, Trade & Logistics and Women’s Economic Empowerment. 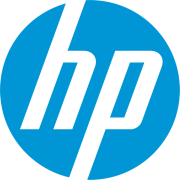 The company was founded in 1946 and the head office is based in the Washington DC area with locations in London, New Delhi, Chennai, Boston, Irvine, El Segundo, Los Angeles, Palo Alto and Houston.